It has been months since I last shared confusion over the way everybody else uses credit cards. Today I am back at it. The service, called inControl and already in use by some Barclaycard holders in Britain, is a sort of financial chastity belt that offers the potential to prevent a variety of budget sins and other money traps. Worried about your restaurant habit? If your bank adopts MasterCard’s service, you could tell it to have your debit or credit card reject any restaurant purchase above whatever monthly cap you set. I must admit I do like the name of the product. “inControl” neatly implies that without it you would be “outofControl” and I think that if this service appeals to you that is likely true. So how is this supposed to work exactly? Towards the end of the month you get carried away at Chateau de la Maison and order dessert, which moves you past your pre-set $300 a month restaurant limit. So the card is rejected. Then you wash dishes? Or do you slip into the men’s room to call Citibank and ask them to make an exception just this once? Can they let it go if you ask nicely? Or is this one of those “for your own good” things where they stick by what you told them to begin with, because you are obviously having a moment of weakness? But what if it really is a serious dining emergency? Maybe when you fill out the application for the card you supply a “safe word” to be used when the discipline goes too far. Still, this is the sort of service that makes you slap your forehead and wonder why it didn’t exist before. It has the potential to solve the core problem with budgeting: it’s easy to make a spreadsheet and track what you spend, but it’s awfully hard to stick to the plan. Changing behavior, in the end, is the biggest challenge. And now MasterCard seems to have made it possible for your bank to become a partner in your self-improvement instead of an enabler of your misdeeds. I am not slapping my forehead in wonder that it has taken this long for banks to become a partner in my self-improvement. I am rubbing my forehead in confusion over how this is a service rather than an annoyance. Is it just me? I know I am the only person in America who has only one credit card bill and pays it in full every month. For the rest of you, the dozens of cards in your wallet are the equivalent of a chemical dependency somewhere between nicotine and heroin. So maybe anything that can limit how often you fix is a good thing. But I am honestly wondering to how many people this scheme will have appeal. 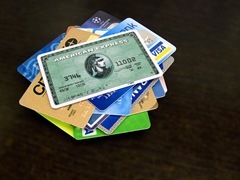 To make use of this, you would have to be the sort of person with low enough willpower to need to resort to restricting your spending via a limit, after which your card turns into something only useful for jimmying cheap locks. And you would have to be the sort of person for whom a single overall limit does not work. The sort of person who is irresistibly compelled to spend $20 of the entertainment budget on clothes and is then filled with self-loathing afterward. The inControl card feature also allows you to set up fraud alerts and use prohibitions so that you can help fight fraud, that is, help the bank do its job. (Another area of my confusion which I have previously shared.) An example given by the Times: “Tell your card issuer to never allow charges originating from the fraud-prone countries that end in “stan” or “ia.”.” That ought to show those Austrians. The article does discuss one use of this that does make sense to me. A parent or employer could restrict the things that could be charged on their account by their child or employee. So you could pack Junior off to college with a card that was good at bookstores, supermarkets, gas stations, and church fairs, but could not be used at pizzerias, liquor stores, strip clubs, or tattoo parlors. And, in fact, that sort of control over what gets charged makes a great deal of sense. The versatility of a MasterCard is a great thing in your own wallet, but it is a liability if you are giving it to somebody else to be used only on certain things. But when you start pretending you are two people, both the parent who imposes restrictions and the child who needs them, you lose me. But trying to resolve my confusion on this has led me to a new, even better, feature that MasterCard could offer. parentalControl will allow grown children to have their parents notified whenever they exceed their pre-set spending limits on certain categories. So, although the charge at the fancy restaurant will go through, Mom will get an email with the charge details saying that you have exceeded your dining out limit for the month. The next day she will call you at work and ask who you were out with and is it serious. The amazing part of this program is that they chose a restaurant as an example. Those customers get the bill after spending the money. Inability to pay via credit card is NO HELP in that situation. As you say: what’s the solution? Washing dishes? This idea works to prevent purchasing more than one can afford – such as any retail store. I sense that somewhere in the future there will be a college kid buying someones gasoline with his credit card for cash at 50 cents on the dollar in near proximity to a strip joint. I got a good laugh out of that line. THanks. As always, I tend to disagree with you. I really do think that many people have a thoughtful and intelligent person who gets the bill, and an impulsive, emotional person who buys stuff. Category limits can make sense for people who don’t want to check their progress regularly. If I’ve spent more than $600 on food in a month, I’d like to know about it. But if my fridge fails, I still want to have a card that will quickly and easily transfer a thousand dollars to the retailer that sells me a new one, even though it kills my monthly budget. I would favour an “email alert” or “text alert” when I hit a user defined spending limit, rather than the card cutting me off. Like “Hey Adam, your last purchase made you $400 this month at restaurants and you told me to tell you when you got to $350″, then I might cut back. Semi-useful I suppose, but I track everything in excel. The ParentalControl card would be useful too, and since I let my mother use my card sometimes I’d need the reverse card (KidControl?). I’ve had to cut her off before too. I’d never use my card for online gambling, so technically I could tell the company to reject any charge for that, but what if it incorrectly flagged an online purchase as online gambling? Your artful application of alliteration astounds me! Also, your blog is amazing! Please keep up the good work. Research shows that you are in fact multiple people. Whether you frame it as past you vs. present you, present you vs. future you, good you vs. bad you, or theoretical you vs. yourself in reality… the the point remains valid that sometimes you want to restrict yourself during a fit of conscience. There is always a way around a self-imposed restriction, but going through that workaround may give you enough time for your conscience to return. That said, the restaurant example is indeed rather weird. Interesting article, although I’d be more inclined to provide my kid with a pre-paid card and top it up where necessary. It just seems a bit stupid to hand over a credit card to a student, no matter what restrictions you put on it – there is always a way around them.